After what has been a topsy turvy group, with Spain winning in England and Croatia beating Spain after losing to them 6-0 in the away game, the deciding match is here. Croatia head to Wembley, looking to repeat the incredible win there in 2008 to put the Three Lions out of UEFA Euro 2008. This time, they arrive as World Cup finalists, having recently defeated Spain in an impressive, late comeback win. Can they repeat the trick of a decade ago? Or will it be more like the famous Theo Walcott hat-trick in Zagreb? This should be a good time to test out some other names, and also to give the John Stones – Joe Gomez partnership another run. Short of an experienced defender of quality outside of Harry Maguire, the young duo could be the defensive pairing for a long time to come. A good time to try them out. However, a potential midfield trio of Eric Dier, Jordan Henderson and Dele Alli should offer something decent. Henderson and Dier can offer a lot of industry, while Alli is the creative spark. Up top, the effervescent Raheem Sterling will likely play alongside Harry Kane and Jesse Lingard. Meanwhile, Croatia come into this one with some decent form of their own. A strong win against Spain was very well received, and it’ll be up to the electric front three of Andre Kramaric, Ante Rebic and Ivan Perisic to do the same damage here. Kramaric was never given a great chance when he played in England with Leicester City, but has been a revelation in Germany and for his national side. In midfield, Luka Modric and Mateo Kovacic are likely to play, with Marcelo Brozovic sititng inbetween. That midfield, like the England side, has plenty of industry and craft but might lack an out and out runner. In defence, expect Domegoj Vida to partner Dejan Lovren, with winner-scoring Tin Jedjaj at full-back, Sime Vrsaljko the other side. This should be a cracking match. 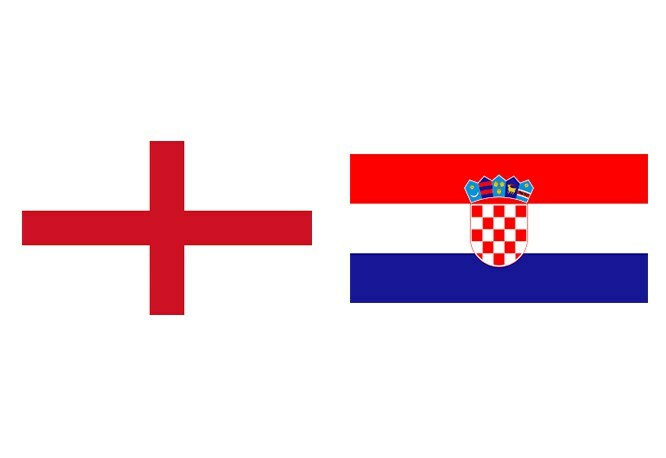 Croatia, though, don’t travel well and the defensive pairing aren’t known for their cool heads in passionate matches. Expect this to be a great match-up, with England coming out on top – but only just.